PDFSam is a well known utility to split and merge PDF files on Linux based operating systems. It offers a graphical interface to perform PDF related operations like splitting, merging, mixing and rotating documents a piece of cake. It offers a classic graphical user interface, it is a cross platform utility and run flawlessly on all popular operating systems like Microsoft Windows, Linux, and Mac OS. Here are some of the important features of this tool. Ability to split PDF documents to chapters, pages etc. Easily extract a portion of your document as separate document file. Mix pages extracted from multiple PDF documents. Re-order pages of selected PDF file. Ability to save and load your current workspace to automate your repeated tasks. PDFSam required java to be installed on your system. In order to install java, launch your terminal and run following command. It should take couple of mins to download Java and install it on your operating system, successful java install should look like as shown in following screenshot. 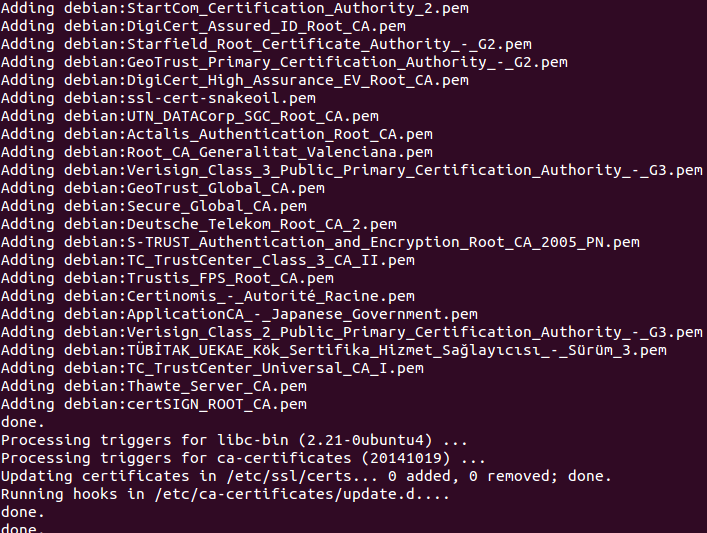 Now run following APT command to install PDFSam on your ubuntu system. That’s all, congratulations, PDFSam has been installed successfully. 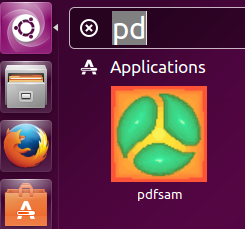 You can launch it from Applications >> PDFSam option. In order to split PDF files, click Plugins >> Split from left sidebar and then click “Add” button (shown encircled). 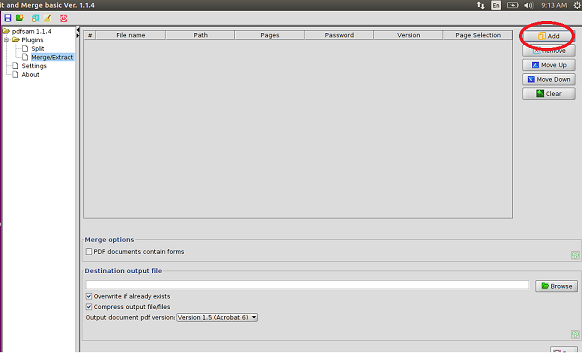 Specify the file, split options, destination and click “Run” to complete the operation. Similarly to merge file, Add files, choose Destination and hit “Run” button. 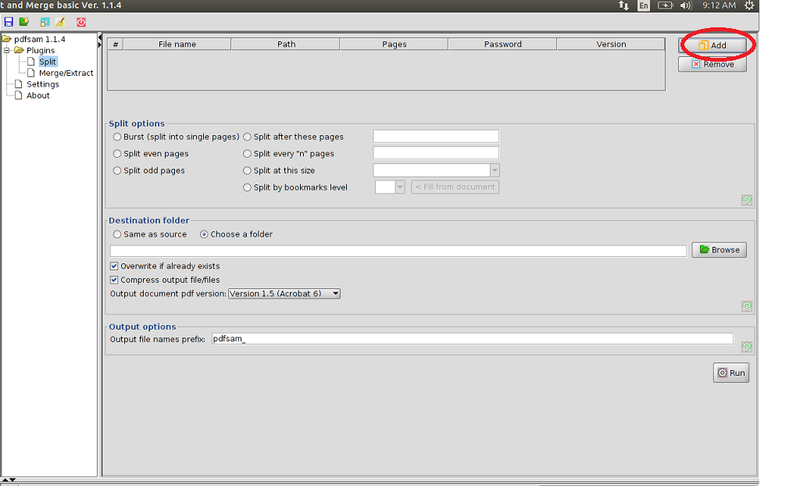 This tool makes performing advance PDF operations easy on Linux, It is a lightweight tool, easy to install and executes operations on PDF files instantly.